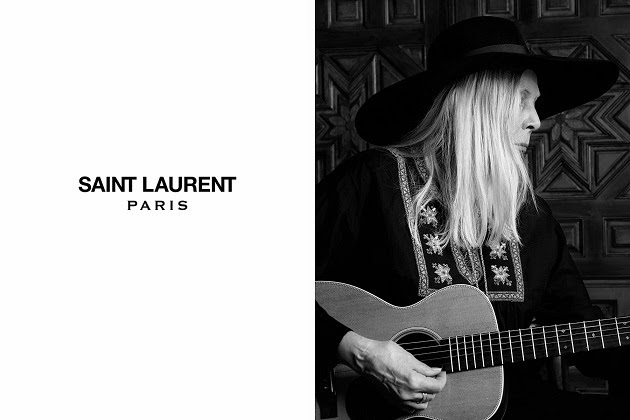 SAINT LAURENT 2015 Music Project x Joni Mitchell was photographed at her house in Bel Air, California. She was wearing her YSL folk tunic, a leather cape Hedi made for her and the YSL classic fedora. Hedi photographed Joni on several occasions. Studio portraits are also published in this month's V magazine.